Taking a look back to the past, most of us know that Computer was invented to do the complex computation of missile path trajectory during the span of world war. Then the time came when this specific purpose machine started to play its role in almost all the major areas of life. Soon, it was realized that conventional computing mechanisms were not enough to meet the needs of people which varies with time. Cloud Computing came as a solution which provided pay-per-use facility for the computation and storage resources. This technology enables the users to make use of remote machines in such a way that the client can get as much as computing or storage resources for as long as they need them. In this way, both excess and limitation of resources can be eradicated and a major part of revenue can be saved. Amazon and Microsoft can be named as one of the most influencing market holders in Cloud Computing. The term ‘Enterprise Resource Planning (ERP)’ systems refers to such integration of applications which can manage the business and help the managers by automating different technology and human resources related functions. Recently, an enhanced and updated version of these systems is fabricated and known as Cloud ERP systems which are manufactured by introducing cloud computing at the back-end of the applications running in ERP systems. These systems enable the organizations in accounting, operations management, and reporting. As we have discussed in our previous article, despite all the benefits of ERP systems, deploying these systems in servers is a tough task to do and managing as well as troubleshooting the back-end servers can also be a tedious task for the company. This is where cloud computing really plays its part and smoothly drag the administrators from all the complex tasks of managing the backend servers by providing on-demand computing resources. The deploying team need not worry about where the server is and how that can be protected from different disasters. Adding to that, the cloud provides the useful feature of ‘Auto-scalability’ which makes it easier for the technical persons to seamlessly scale up and down their systems according to their needs that can vary with time. This can be especially useful in such situations when an organization is in its progressing state and many transitions are being done within the company. Apart from that, these cloud ERP systems make use of cloud storage (for example, S3 or Relational Database Service of Amazon Web Services) which results in a more secure and efficient management system. When the employees’ data is being stored in the cloud, applications of the ERP systems can access the required data from anywhere and demanded data would be accessed within no time. The storage ability can also scale itself according to the needs of the system and applications connected with the systems can send large amount of data easily. According to some IT industry experts, one of the most fascinating things about cloud computing is that it provides opportunities for different businesses to completely transform the ways being used by them to cater the costs of using information technology. For instance, the ERP applications with a fully functional backend on the cloud might eliminate the necessary requirement for a business to purchase a server. Likewise, many other expenses can also be cut down and consequently it has the right potential to reduce operating expenditures (OPEX). It is also pointed out that the use of cloud with ERP systems will reduce the IT support service cost as IT is being maintained on the cloud and the organization which is using ERP system need not worry about the hardware on which the system is deployed. Another exciting aspect is that on-demand payment saves the company from ‘one-time’ expenditure and cash saved from hardware buying can be utilized at other initiatives. As cloud computing’s security has been observed to be a concern in the past and ample research was done on it. 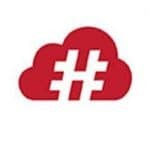 That is why, cloud in its current form has been considered to be really secured as compared to it was in the past and using cloud storage is found to be one of the most secured means. Likewise, being easily accessible from anywhere in the world, the Cloud ERP solutions would help the organization to geographically expand with ultimate ease. It is also hoped that ERP software systems which are specifically developed for cloud computing will introduce new feature sets in them which were not being possible without cloud computing technology. 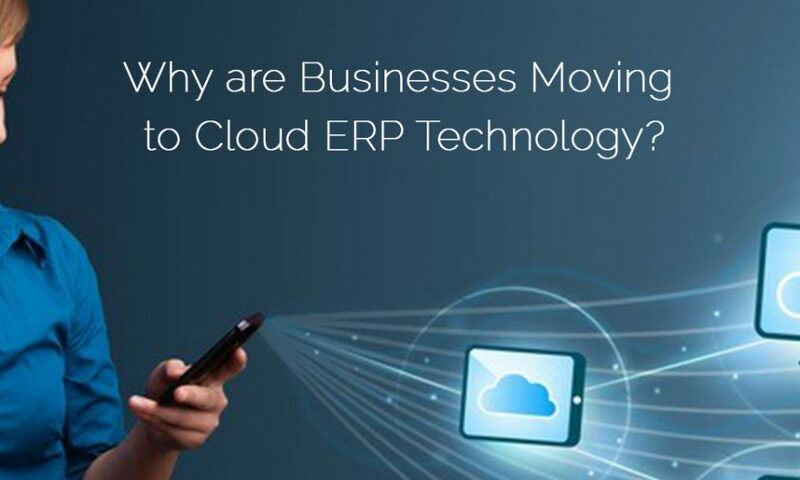 In pursuit of the answer for question ‘Why are the modern Businesses moving towards the Cloud ERP systems’ we have seen that ERP systems in their traditional form were quite useful for the companies, but there were some concerns in the technology related to their deployment. Introducing cloud computing as a solution has not only solved many problems in the older versions of ERP but also has come up with some tremendous benefits which were not being possible without it. From solving the major concern of managing the servers and other hardware connected to the system, this exciting technology has marvelously exploited the benefits of cloud computing. All these advantages have played a role to grab the attention of business community and organizations are adopting this captivating technology for an organized, systemized and auto-scalable solution to an everlasting problem of managing the company’s resources.